A couple of days ago Samsung introduced the new Galaxy Note 9 which comes with handful features and performance. According to a new poll from PC Mag shows that consumers are more interested in Apple’s upcoming 2018 iPhone lineup. The survey included 1,555 participants, with 42 percent of them replying that they are more interested in Apple unveiling its 2018 iPhone lineup next month. 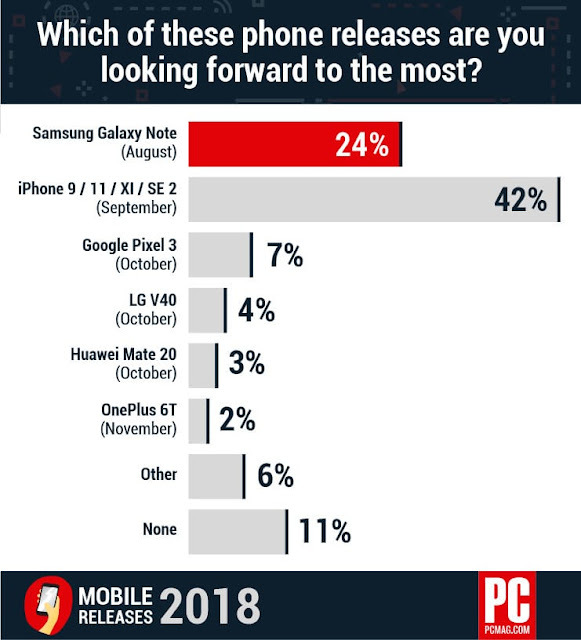 At 21 percent, almost half of the participants who took part in the poll were more interested in the Galaxy Note 9. Google’s mighty Pixel series might win a lot of accolades for its camera performance, but only 7 percent o the poll participants are interested in it. Other notable Android flagships that have failed to garner interest of even 5 percent of the poll participants include the LG V40 and the OnePlus 6T. The Galaxy Note 9 is also largely based on the Galaxy S9 which was launched by Samsung in March. 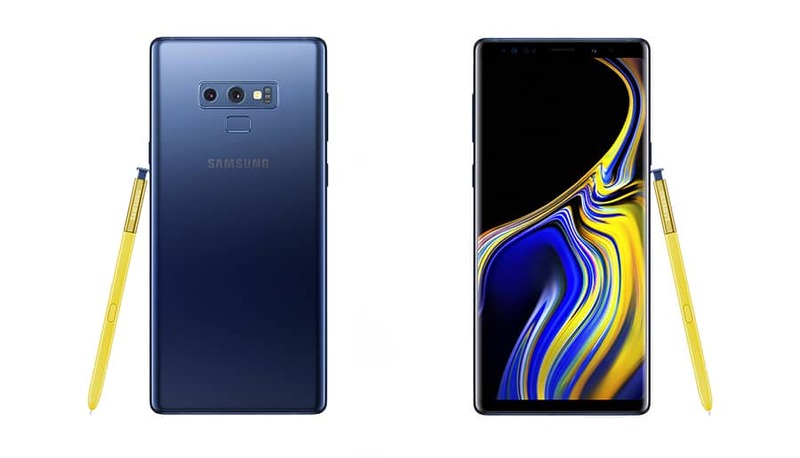 Thus, its obvious that the hype around the Note 9 is considerably lower than that for Apple’s upcoming iPhones. The Note 9 is also a very big device and its whole S Pen appeal is limited to a niche set of audience. None of this undermines the fact though that consumers are more interested in the 2018 iPhones than the Galaxy Note 9 or for that matter, any other Android phone in the market. So what are you looking forward ? A Galaxy Note 9 or iPhone X ?